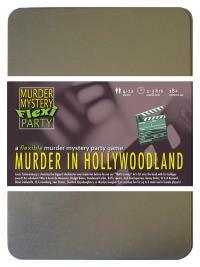 You've been invited to play the role of DR EVIL KERNEVIL in Murder in Hollywoodland. You're invited to a star-studded yacht party, as Lucas Cameronburg is shooting the biggest blockbuster ever made! But before he can say "That's a wrap! ", he's hit over the head with his Goldguy award and pushed overboard! Join us to find out who cut Cameronburg from his own film! With your gleaming bald head, playfully arched eyebrow and exaggerated facial scars you are the epitome of evil, yet your white leather motorcycle leathers with red and blue trim (don’t forget the cape) make your enemies think twice about firing their death rays. A crash helmet helps you go “incognito” at a moment’s notice. As a young evil doctor you had always dreamed of being a stunt motorcycle rider. After badgering your parents relentlessly in your teenage years they relented and purchased your first “bike”. Unfortunately, it didn’t have the acceleration required to overtake most clockwork toys. Whilst performing your first “stunt” jumping a row of hamsters, your parents realised physics would probably work but they were too late to stop you ploughing through, instead of jumping over, the unwilling participants. From that point forwards you were affectionately known as Dr Evil Kernevil by your parents - and when a role came up in Cameronburg’s film with exactly the same name you knew it was for you. I am the infamous Dr Evil Kernevil. An evil genius with a sidebar in stunts of the acrobatic nature. Cameronburg wishes he had hired me but, actually, with my powers of... evil I simply persuaded him that his project would fail without me. And we had a spectacular project planned. I would jump my stunt motorcycle across not one, but two enormous… oversized, engorged, almost alien… cucumbers! I’ve been in my underground volcanic lair this whole time so I don’t know why I’m a suspect.